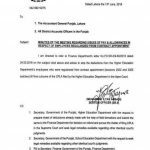 Mohtsib Punjab has issued orders to Accountant General Punjab & all the district offices to protect the pay and allowances of the lecturers who have been appointed through Punjab Public Service Commission. 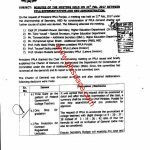 Mohtsib Punjab also ordered the said officials to submit the report by adding previous pay and allowances of these lectures. 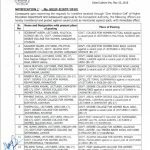 It is added that these lectures were working as teachers in various Punjab educational institutions and they were selected as lectures through Punjab Public Service. 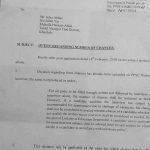 The lectures of Faisalabad & Okara had applied to Mohtsib Punjab that the lectures appointed in 2005 were regularized but the pay and allowances that were they drawing as teachers were neglected. I was working in scale 9 as a regular employee. Now I have been appointed in scale 14 on contract basis. Do I deserve protection of my pay and allowances and what kind allowance are protected.whether personal allowance and qualification allowance are protected or not? a. Signing a contract with a term and condition not to claim pay protection. b. 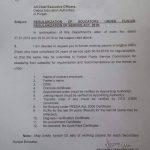 There is no provision of pay protection from special pay scale to basic pay scale. Dear ur previous pay will not be protected unless the department issues special instructions about it. 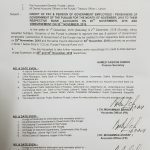 i worked as contracrt employee in BPS 17 HEALTH DEPT between october 2002 to 26 april 2009 and then get reular service on 27 april 2009 through CM special orders;will mohtasib ruling wiil apply to me about all the increments, adhocreleif allowances 2004,2005 dearness allowance 2007,i granted during contract period:will some one throw light?